I want you all to welcome a new reviewer for Boomstick Comics. He hails from the great lands of Kansas City. He is a super lawyer by day and a crime fighter by night and he is known as Cowdefender. He has seen M. Night’s first film in The Night Chronicles which M. Night did not write or direct, but only produced. What do you people think about the movie? “More people are going to like this than M. Night’s last couple of outings. Even wikipedia makes it clear that many regard M. Night to be a better director than screenwriter. 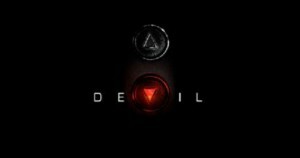 Devil was a story of M. Night’s that was given to a different screenwriter. So, I’d say it worked. 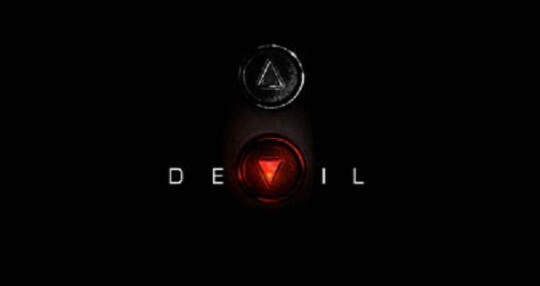 Devil was well written and well directed. There were a few lines that struck the audience as a bit cheesy and a bit on the nose to explain the film from within the film, they consistently fed these lines to a single character and all the other characters responded appropriately to what he was saying. I felt that aspect worked just fine. The film was appropriately engaging, tense and compelling. It kept me guessing. Of course that aspect makes it hard to say much. It should be noted that a considerable amount of the movie takes place outside of the elevator. Sure those folk are stuck in the elevator, but this isn’t like the Phonebooth film or the coming Ryan Reynolds flick. I mention this because that was something that made me hesitant to see Devil, I just wasn’t entirely down with seeing these people hanging out in an elevator for 90 minutes, so fortunately this isn’t what was forced upon me. Devil gets a 7 of 10. This entry was posted on Saturday, September 18th, 2010 at 11:35 am	and is filed under Film. You can follow any responses to this entry through the RSS 2.0 feed. You can leave a response, or trackback from your own site.